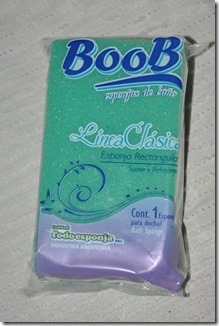 Yours for a couple of pesos from our local supermarket, any prizes for guessing what this item might be? 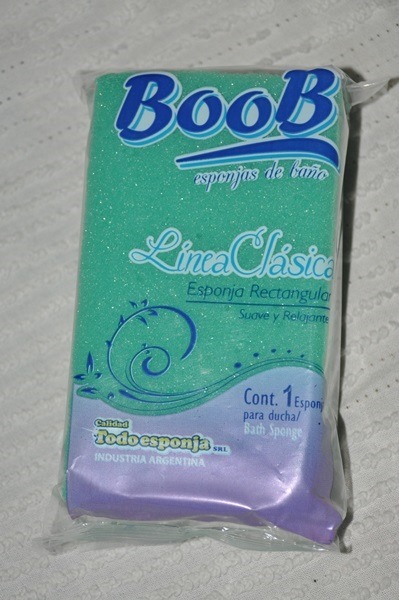 It is a bath sponge. Or possibly a cash-strapped alternative to silicone implants? Someone stole my mug from the plaza where I was playing with the children. She picked it up from near the swings where I’d left it, wrapped it in a child’s blanket and hid it under her arm. I asked her if she’d seen it, but she said no, and since there wasn’t a lot else I could do without accusing her of stealing my stuff, I decided that discretion is the better part of valour. We only actually have four mugs in the house, so losing 25% of them is a bit annoying, but it won’t change my life. Although it did make me wonder why she did it. San Francisco is a well-off city in Argentinean terms. Average vehicle ownership is two cars per household, and even in the poorest neighbourhoods people travel by moped and watch cable TV, so why would anyone steal a mug? Brazilian educator Paolo Freire developed a theory of the self sustainability of oppressive regimes, as the oppressed at the bottom of the pile seek leadership not to bring about change, but in order to become the oppressor. So, what can we do? Pray that the light of self-respect might find its way in through the cracks in this broken society. And then buy some new crockery. For various reasons the weekend turned into a trial by offspring. We did start discussing the relative merits of selling them for chemical experiments versus slavery. I also remembered that Jonathan Swift wrote A Modest Proposal, which is quite a handy piece of prose for such occasions. Thankfully things have improved today so they have won a reprieve, but I’m holding onto the link in case of future need. I’ve been singing a little home-made bath-time ditty to the tune of Boney M’s Brown Girl in the Ring, so I had to find the real version for Joni the other night. It’s aged a bit since I was seven, but this, my boys, is part of your cultural heritage. Although these days you might find yourself arrested under the anti-terrorism act if you wore those shorts without a proper licence. Boney M. Brown Girl in the Ring. Ministry opportunities are a bit like catching a bus… Wait out in the rain for years on end (especially where I come from in small-town UK) and then three show up at once. But it’s difficult to figure out which of the proposed ministry opportunities is a real opportunity, whereas I have never had a problem identifying a bus. This week there have been a couple of possible opportunities put our way; a new church plant, a new prison initiative, but at the moment it is hard to see whether either of them might go anywhere or if they’re just someone’s daydream on a rainy Tuesday. I guess even Google was once someone’s daydream… but then for every Google how many others never went anywhere? Pope Francisco the other week said something interesting which is that a church that looks inwards ends up sick, and a church that steps outside itself runs the risk of suffering an accident, but it is better to be “accidented” (you can say that in Spanish) from crossing the road than sick from navel gazing. So maybe it’s time for taking some new risks and see where we might end up. Meanwhile I’m supposed to be writing a reflection on Rahab the prostitute (there’s an alternative career path if it all goes wrong…). So far I’ve got a main heading of “Uneducated foreign woman recognises a big God when she sees one, and ends up featured in the Hebrews hall of the Greats”. So now we need to unpack it. But first I have to do something about lunch. Author Hazel FrostPosted on 6th June 2013 Leave a comment on Is this a bus?